The first-ever entertainment convention of its kind is here! 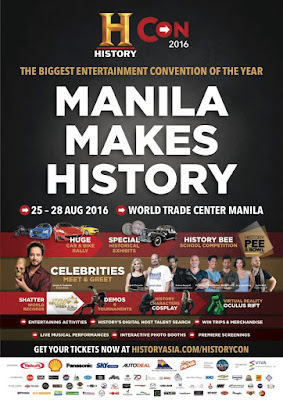 Check out HISTORY CON 2016 on August 25-28, 2016 from 10am to 10pm at The World Trade Center Manila. 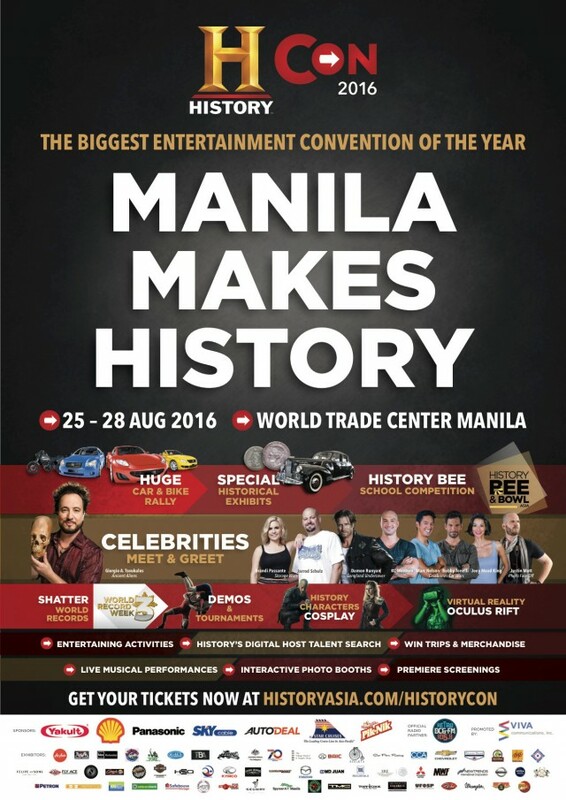 HISTORY CONVENTION 2016 is a celebration of all things entertainment! HISTORY comes to life, bringing you closer to your favorite shows. Expect to be entertained with something for everyone. The exciting lineup includes exclusive fan-meets, autograph signings, competitions, activities and much more! The biggest entertainment convention of the ear, the boldest event lineup, the best of HISTORY – all under one roof!